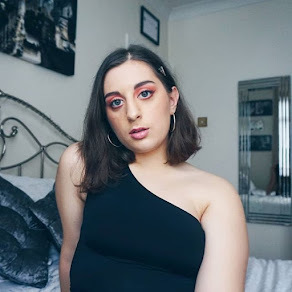 Wedding season is well and truly upon us and one thing that I have wanted to do for awhile now is get a post up focusing on makeup that is perfect for a wedding guest. 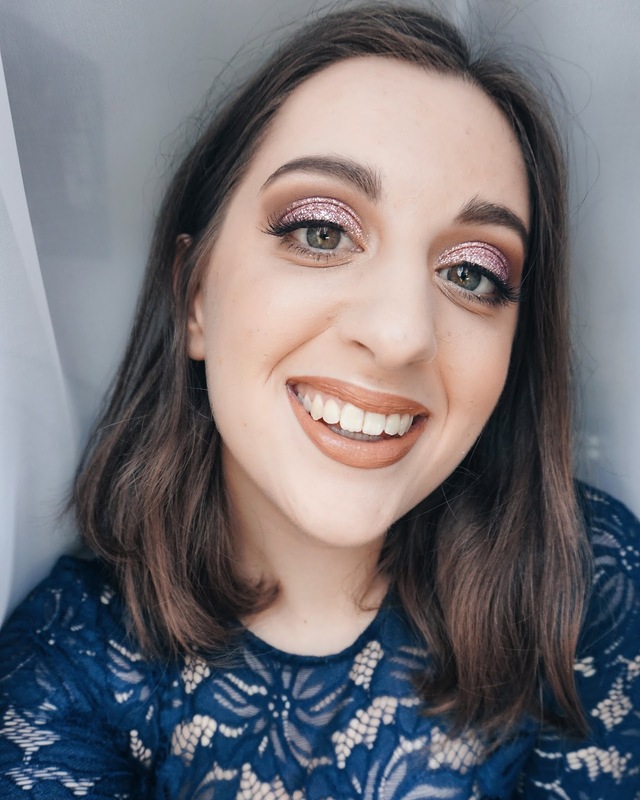 I have attended a couple of weddings within the last six months and found it slightly tricky to find makeup that is more special than your everyday makeup but not so glam that you look like you're attempting to outshine the bride. 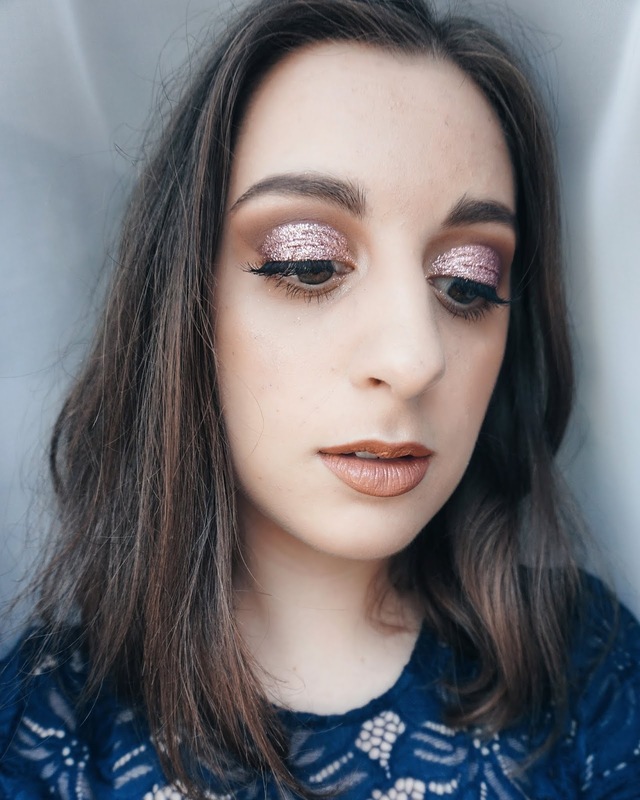 I worked with my blogger sister and makeup artist The Skinny Hot Choc to bring you this gorgeous sparkly look suitable for any wedding occasion, bride or not! 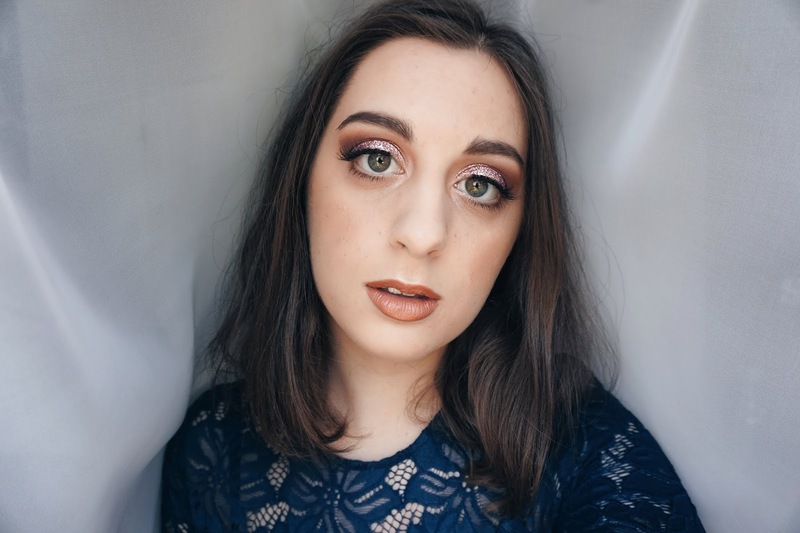 I love the way that it turned out and I am so happy to finally be bringing you a makeup post where I am actually wearing fake eyelashes - yikes they were a treat and a half! 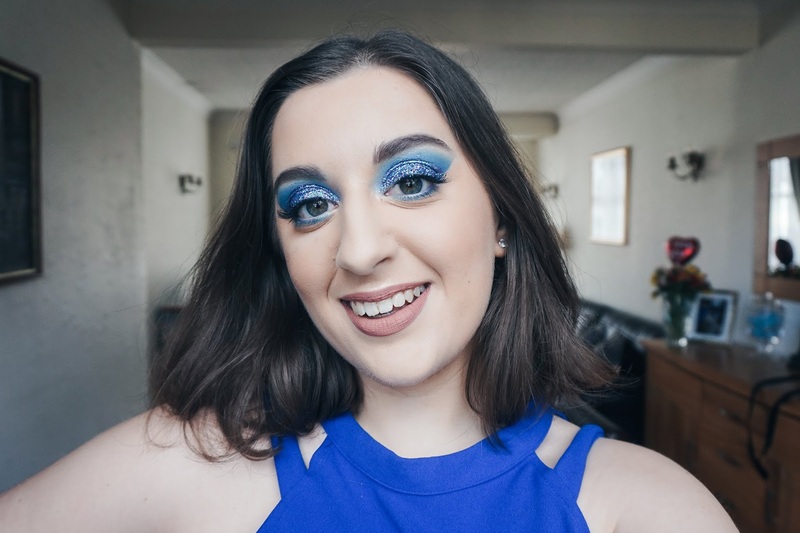 I'm kidding of course, these Ardell lashes in the style Demi Wispies are so beautiful for a special event and really bring that extra something to your eyes - just make sure to practice wearing them around first because, personally, they took some getting used to! This look is so easy to achieve and even if you don't have the same products that were used here, it won't be difficult to find ones that are similar. Honestly, as long as you have an eyeshadow pigment or a sparkly shadow then you'll be all set! Just an extra tip though, make sure to use a neutral or brown-toned shade in the crease so that the transition between the lid shade and the crease is seamless. Feel free to use a brighter or darker lip colour if you wish, the choice is up to you! 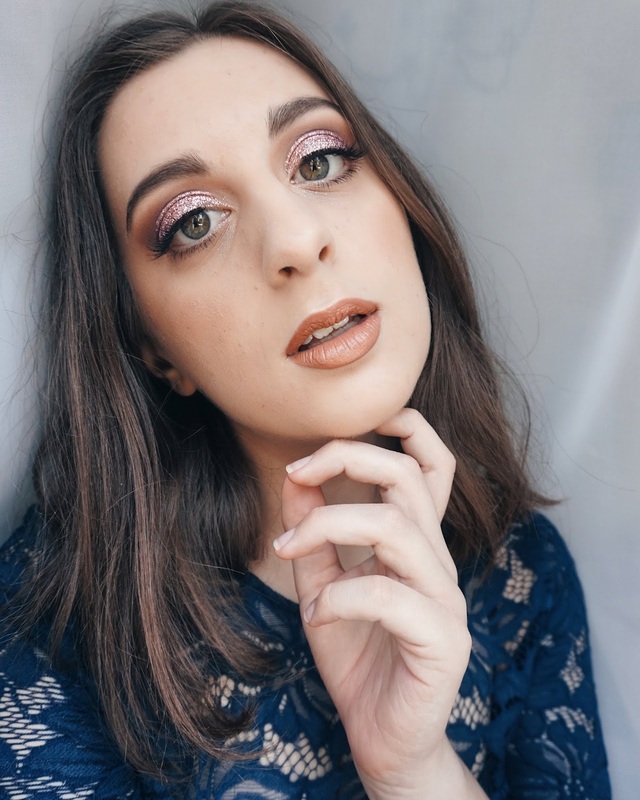 If you end up recreating this look for a wedding you're attending or if you just want to have some fun, then be sure to tag me on Instagram and Twitter! EYES: MAC Cosmetics Prep + Prime 24-Hour Extend Eye Base // Kat Von D Beauty Shade + Light Eye Contour Palette // Helen E Cosmetics Glitter Pigment in Pink Sugar // Duo Striplash Eyelash Glue Clear White // Ardell False Lashes in the style 'Demi Wispies' // Benefit Cosmetics 'Roller Lash' in Black. CHEEKS: Benefit Cosmetics Hoola Bronzer // BH Cosmetics Classic Blush Palette (Top Row, Second Blush) // Makeup Revolution Ultra Sculpt & Contour Kit in Ultra Light/Medium (Highlight Shade). LIPS: Rimmel London Exaggerate Automatic Lip Liner in Eastend Snob // MUA Luxe Velvet Lip Lacquer in Tranquility. SO gorgeous 😍 I'm really loving this look, and I just bought some new glitters earlier today as well so when they arrive I'll definitely be taking some inspo from you!